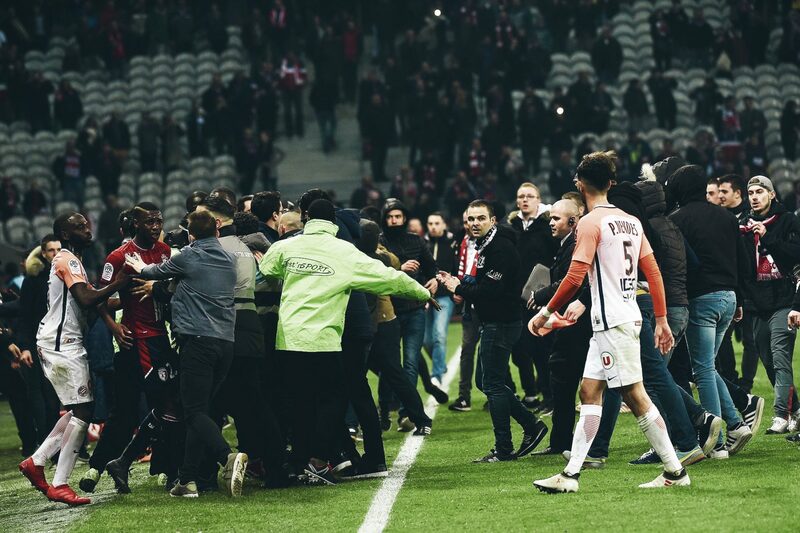 THE IMAGES FROM the pitch invasion and threatening chants at the end of the Lille and Montpellier game recently shocked many, but don’t come as a great surprise to most. In an increasingly pressurised sport, where results and instant success are demanded by everyone, it is common to see fans become frustrated and feel isolated, although fan protests are one thing and players being attacked another. To help bring some perspective, Lille are in the midst of a relegation battle after winning the league and cup double little more than seven years ago. Their fall has been consistent with many smaller clubs who have risen from mid-table also-rans to league champions. Leicester City are an English comparison. Lille won the Ligue 1 title – their only title to date – in 2011 under the management of Rudi Garcia. This was during his second spell with the club as, under his guidance, they made the push from Europa League contenders to champions of France. Under Garcia, Lille played attractive, attacking football. This was highlighted by 2009’s league effort where they finished fourth and scored a division-high 72 goals. Their title win and subsequent exposure in the Champions League gave Lille their moment in the spotlight, and it’s little wonder their best players and indeed the manager attracted the attention of bigger clubs. Garcia left to join Roma in 2013 – the same season in which they sold Eden Hazard to Chelsea – but it didn’t derail them as they narrowly missed out on European qualification by one point. Since then they have finished third, eighth, fifth and 11th as their slide down the league started. Like a lot of clubs who have been punching above their weight, Lille have managed to stay afloat in Ligue 1 by maintaining their selling club mentality; their transfer outlay over the last three seasons is significantly less than they have received. This sounds like good business, however there has been a lack of genuine quality replacing those who have left the club. One man who was determined to stop the rot at the French club is entrepreneur Gérard Lopez. He bought the club last year, has recently overseen the construction of new training facilities, and has been part of the overhaul at the club’s already impressive youth academy. Lopez also appointed experienced tactical maverick, Marcelo Bielsa, in May 2017. Five managers in four years would suggest Lille’s fall down the division started well before Bielsa’s appointment and isn’t totally down to his inability to steady the ship, however the board must take some of the blame as the Argentine probably isn’t the first name you would choose if you wanted a stabilising figurehead. He has always been something of a cross between a football oracle and a court jester; a tactical genius mixed with the unpredictability of a broken catherine wheel. He was appointed as Lazio manager in 2016 and lasted two days before resigning over alleged broken promises surrounding transfers. He was subsequently sued by the club for a breach of contract. Prior to that he reigned for little more than a season as Marseille manager and resigned after just one game of the 2014/15 season following a defeat to Caen. He cited differences with the club’s management as the reason for his resignation, however many questioned the timing of his decision. There’s little doub that he’s a talented, visionary manager, and he has international experience with Chile and Argentina, but his appointment now seems a little desperate on Lopez’s part. The bizarre way he left his previous clubs struck again in Lille as he was suspended in December 2017 for apparently travelling to Chile to visit former colleague Luis Bonini without Les Dogues’ permission. Bonini was recovering from stomach cancer and although Bielsa remained suspended, the allegations of the unauthorised trip were later found to be false. Bielsa was still relieved of his position shortly after. After his £58m spending spree in the summer of 2017, it can be argued the club suffered from too much too soon as he signed 12 players and completely revamped the first team. Bielsa reportedly took under an hour to decide from his first-team squad who was staying and who would be sold on. It is apparent the club just never adapted to his whirlwind changes, and it doesn’t take a genius to work out the club’s owners will have expected something in return for their investment. Although spending vast sums of money can be seen as a little reckless, especially for a club with a precarious financial outlook, Bielsa’s record of just three wins in the first 14 games of the season will also have been on the minds of his employers. It’s clear, then, that the Argentine and the owners must share the blame for Lille’s current predicament. New manager and former Lille player, Christophe Galtier, started well at the turn of 2018 but results aren’t improving enough to keep Lille in Ligue 1. Their recent form has seen them win just two league games in 2018. Despite this, their survival isn’t a lost cause just yet and the events of last weekend seem all the more surreal considering Lille, prior to the game versus Monaco, had nine games left and were only a point from safety. To further kick the club while they’re down, their reported financial troubles have been at the forefront of the news recently. In December 2017, France’s football watchdog, DNCG, enforced a transfer ban on the club. No reasons were given, although it’s believed this was due to financial concerns. The club weren’t allowed to make any transfers during the January transfer window and this could have a huge effect as the final stages of the season draw closer. That’s added to the fact that the club could now face punishment by the Federation for the pitch invasion against Montpellier and be forced to play a home game behind closed doors. The lack of a rousing atmosphere isn’t going to help in their relegation fight, and without any gate receipts, they will also be further hit financially. 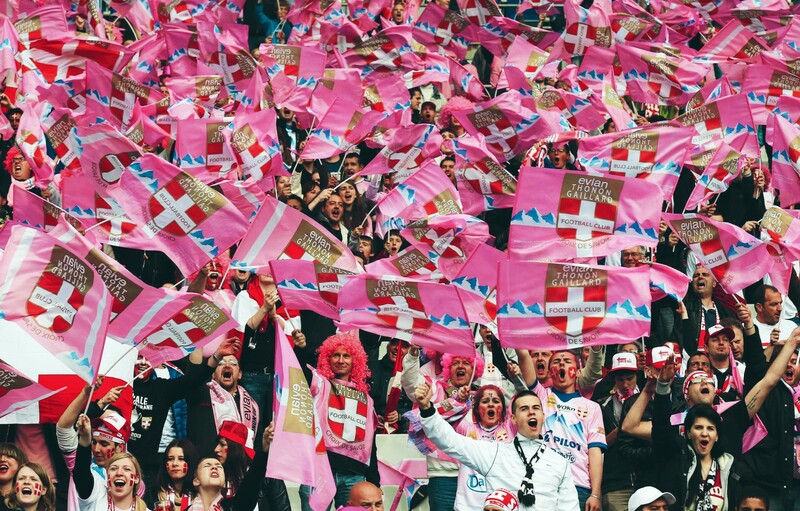 The events in Lille, as well as those involving West Ham fans during their game against Burnley at the London Stadium, highlight just how emotionally involved fans are and just how much their club’s future means to them. As anyone who is familiar with their club falling down the table season after season, the momentum can build very quickly as player sales without significant reinvestment in the team can create a weakened squad. As the team declines, it is often the fans that suffer. Gérard Lopez met with the Lille’s ultra groups in the week before the Montpellier game in an attempt to foster a better relationship with them. They allegedly assured him the fans would back the team until the end of the season. It is reported the DVE, one of Lille’s most prominent ultra groups, was responsible for the pitch invasion and subsequent protest, so it appears their promise was shattered by their actions at the final whistle. Ultras across the world have an often uneasy alliance with their club’s directors and players, and as such they are given special access to the team. Clubs also contribute to ticket and travel costs – things which most fans would give anything to enjoy. In return for this access and preferential treatment, they give their unwavering support both in numbers in the stands and vocally during the game. However, as we have seen, the ultras can and often do turn on the team, most often the players and directors. Unfortunately, the Lille incident isn’t a one-off. In September 2017, ultras of Legia Warsaw attacked their players in a car park after a 3-0 defeat against Lech Poznań. In Spain in May 2017, Tercera División side Alcalá lost to San Fernando 1-0. The Alcalá ultras invaded the pitch and attacked the opposition players. The incidents at the Lille and West Ham games are an ugly stain on their respective fan bases. However, most fans will agree it’s that emotional attachment – the joy, elation, despair, frustration and anger – which not only brings them back each week but also has a huge impact on their day to day lives. Indeed, relegation, for some, can be akin to the death of a relative. Lille, like West Ham, are fighting for their lives in the top tier and history shows us some clubs never return from relegation. 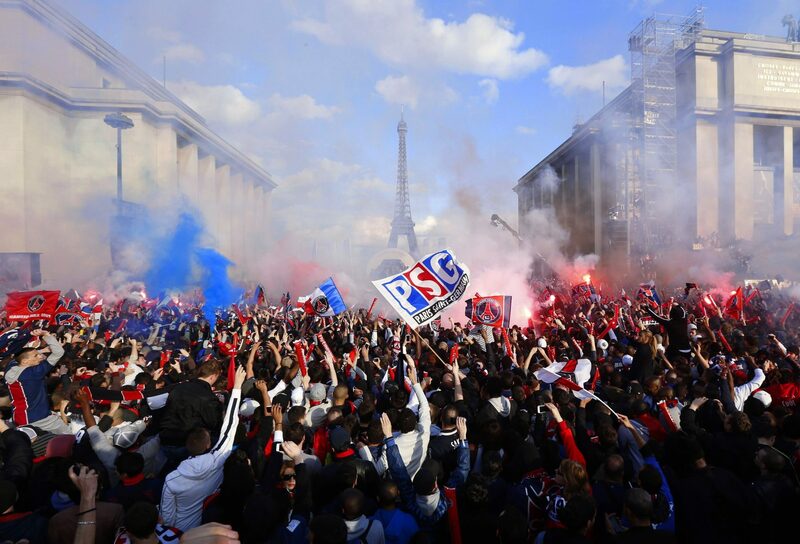 Both the Championship and Ligue 1 are littered with former behemoths that cannot make the leap back to the big time, whether due to bad management, investment or luck. If relegation becomes reality for either, it may be difficult to rebuild and win promotion. Players and owners come and go, and while the actions of Lille fans recently cannot be justified, they remain a constant through good and bad, and they ultimately deserve better than this.